HONG KONG, Apr 16, 2018 - (ACN Newswire) - Organised by the Hong Kong Trade Development Council (HKTDC), the 15th Hong Kong Electronics Fair (Spring Edition) and the concurrent 15th International ICT Expo drew to a successful close today (16 April). The four-day fairs welcomed more than 98,000 buyers from 151 countries and regions, up 4 per cent year on year. Buyer attendance from several markets recorded satisfactory growth, including from mature markets such as the United Kingdom, the United States, Germany, France, Italy, Japan, Korea, Singapore and Taiwan, as well as emerging markets including India, Malaysia, the Philippines and Russia. Around 66,000 buyers attended the Spring Electronics Fair, while over 32,000 buyers visited the ICT Expo. "Technology is developing at a rapid pace. 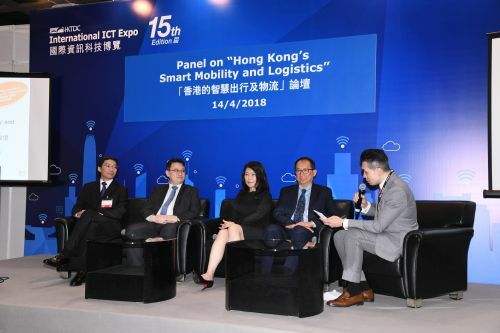 International industries, people's daily lives and society as a whole are all embracing smart technology, which is a huge driving force behind the global economy," said HKTDC Deputy Executive Director Benjamin Chau. "The Spring Electronics Fair and the ICT Expo welcomed global buyers to source and learn about the latest market and product trends. We saw vibrant momentum in the fairground and industry players were keen to exchange ideas. To enhance the effectiveness of the fairs, the HKTDC organised overseas buying missions to visit the fairs and provided services, such as business-matching and start-up investment matchmaking sessions to help exhibitors explore new markets and business opportunities." The HKTDC commissioned independent on-site surveys at the fairs, interviewing 872 buyers and exhibitors to gauge their views on industry prospects and product trends. Despite trade tensions between China and the United States, 59 per cent of respondents expect the ongoing Sino-US trade friction to have no impact on the sector's export performance. Most of the respondents expect overall sales to increase (52%) or remain steady (44%) in 2018. In terms of growth prospects among their major sales markets, the respondents view Korea (90%) to be the most promising traditional market, followed by Western Europe (80%) and North America (78%), while the Chinese mainland (77%), Latin America (70%) and ASEAN markets (70%) are seen as having the best prospects among emerging markets. As for product trends, the survey found that respondents view electronic/electrical accessories (27%), digital imaging (13%) and audio-visual products (12%) to have the highest overall sales growth in their major sales or export markets this year. The survey also asked about the prospects and strengths of Hong Kong's innovation technology. Sixty-seven per cent of respondents rated the prospects of the development of innovation technology in Hong Kong as promising. As proposed by the Hong Kong SAR Government Budget in February, Hong Kong should focus on four advantageous areas to stay ahead of the game: namely biotechnology, artificial intelligence, smart city and financial technologies (Fintech). The survey found that respondents considered Hong Kong to be strongest in Fintech (48%). Respondents said that Hong Kong's competitive advantages in developing innovation technology are mainly in the areas of: talent (50%), reliable and predictable relevant policy (36%), and business-friendly environment (34%). The four-day Spring Electronics Fair and International ICT Expo (13-16 April) attracted more than 3,500 exhibitors from 25 countries and regions to showcase the latest electronics, cutting-edge technology and ICT solutions. Cities worldwide, including Hong Kong, have begun building smart city infrastructure to improve city management efficiency and quality of life, as well as strengthen sustainability and economic development through innovation and technology. Under the theme "Smart City: The Way of the Future," this year's International ICT Expo debuted a Smart City zone to showcase solutions for smart mobility and logistics, smart living and intelligent control system. NEC Hong Kong Ltd, a local exhibitor that participated at the Expo for the first time, presented its smart living and smart city solutions at the Smart City zone, featuring the social robot "HUMANE" and face-recognition technology. "Shortly after the fair opening, we got in touch with an electronic appliance maker from Argentina to explore cooperation in adding our technologies to its products for Smart Living applications," said Gary Tai, Business Director of the company. He noted that the Expo featured a wide variety of exhibitors, from system integrators to start-ups, creating a very positive atmosphere. "The Expo was really a great place to exchange ideas and promote business." 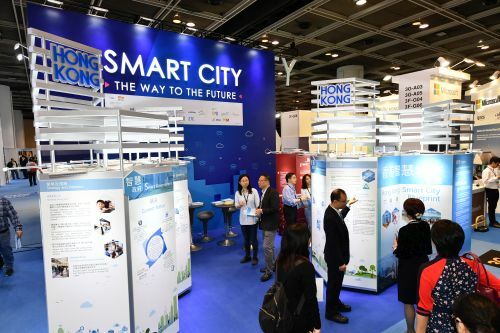 With "Smart City" development as the focus of governments worldwide, the HKTDC invited government departments in the region to visit the Expo, including Thailand's Digital Economy Promotion Agency (DEPA), a government agency responsible for promoting digital economy and supervising the Smart City initiative in the country. Norasit Yorkhan, Vice President, Digital Investment and Industry Promotion Department, noted that the Smart City and Startup zones featured a diverse range of innovative solutions and ideas, including solutions and technologies showcased by Cisco and Microsoft. He said that he has gathered plenty of information on ways to drive future economic growth. This year's Spring Electronics Fair and ICT Expo saw the return of the Startup zone, gathering 110 start-ups to present innovative ideas and expand their connections by meeting investors, buyers and manufacturers. The HKTDC also collaborated with start-up accelerators and incubators to organise a series of start-up themed events, including Smart Launch sessions, sharings, mentoring, pitching sessions, media pitch day and investment matchmaking sessions. Among the companies at the Startup zone was first-time exhibitor Groking Lab, which featured its smart bottle Ozmo and app, which measure and record both water and coffee consumption. Serena Pau, CEO of the company, revealed that they met a representative from Amazon Europe who will launch Ozmo in the European market, and talked to potential distributors from Australia, Canada and New Zealand. The company, which won an award at the Media Pitch Day, said that the event offered good promotional opportunities and helped the company gain wider exposure. 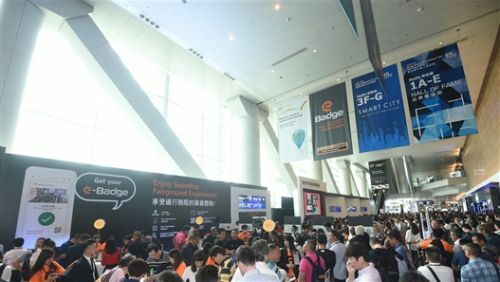 The 15th Hong Kong Electronics Fair (Spring Edition) and the concurrent 15th International ICT Expo closed today (16 April), welcoming more than 98,000 buyers. Under the theme "Smart City: The Way of the Future," this year's International ICT Expo debuted a Smart City zone, featuring exhibitors such as Alicloud, Cisco, Microsoft, NEC, ZTE, Hong Kong Airport Authority and Smart City Consortium. The Smart City Seminar Series at the ICT Expo featured industry experts to share their insights.